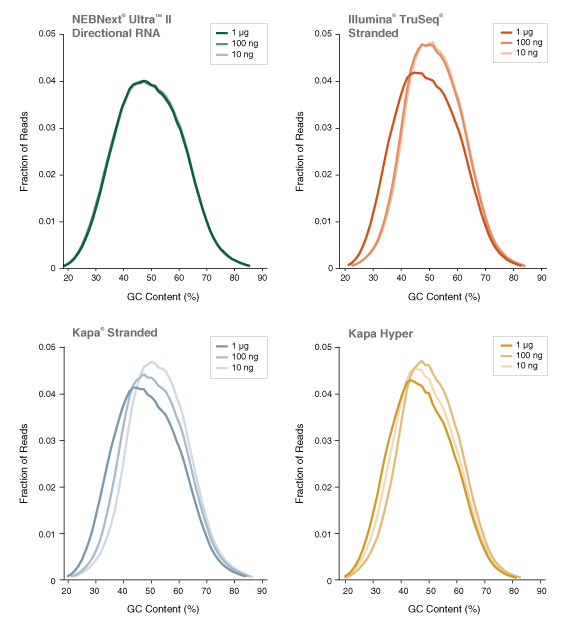 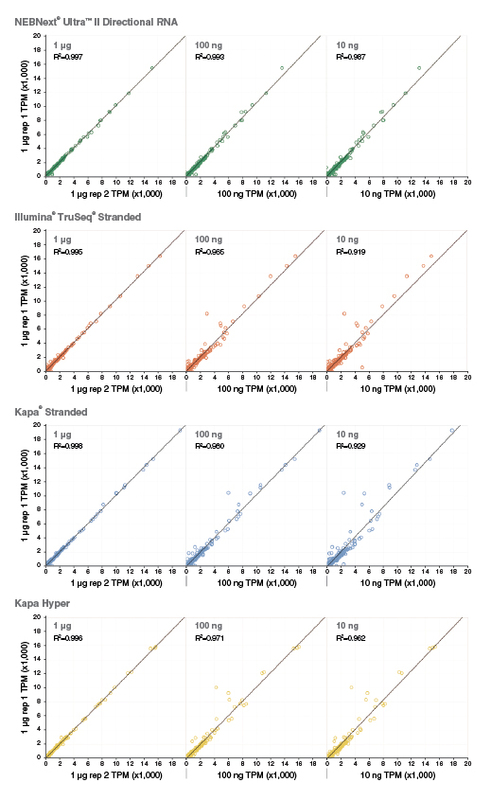 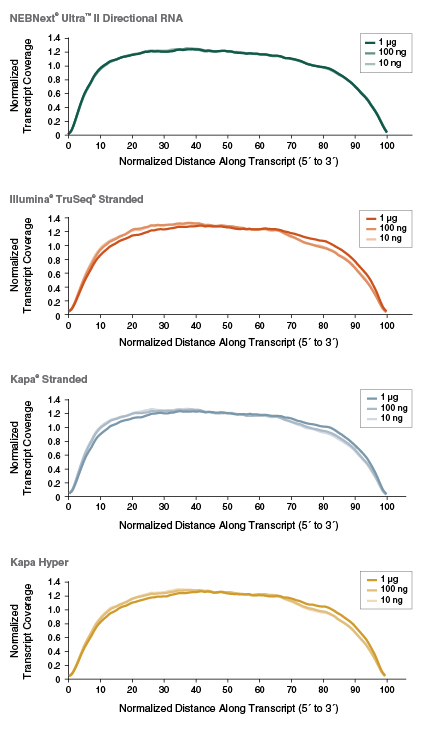 Ultra II Directional RNA Library Prep with Sample Purification Beads delivers significantly increased sensitivity and specificity from your RNA-seq experiments, from ever-decreasing amounts of input RNA. 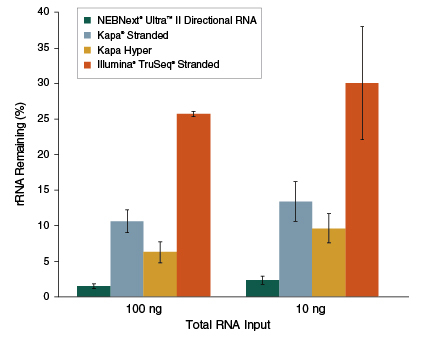 In conjunction with ribosomal RNA (rRNA) depletion or poly(A) enrichment, the kit enables the production of high quality libraries from 5 ng or 10 ng of Total RNA, respectively, up to 1µg. 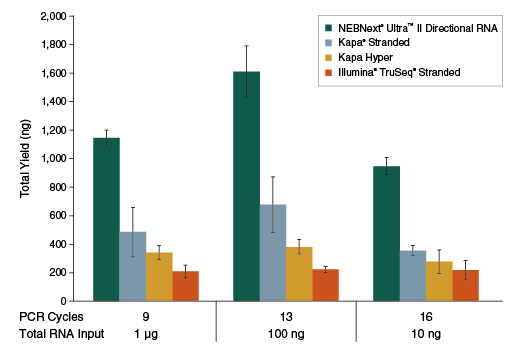 This kit contains NEBNext Sample Purification Beads (SPRIselect® beads from Beckman Coulter) for size selection and enzyme reaction cleanup. 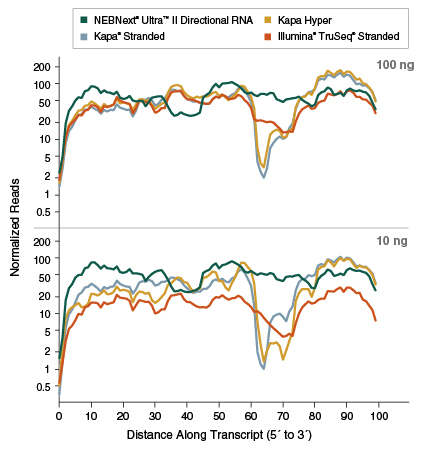 Also available without SPRIselect® beads for clean-up and size-selection steps.